7000 Watt Electronic Fuel Injection Generator With Reduced CO Technology is rated 4.7 out of 5 by 10. Rated 5 out of 5 by zarticus from Great Generator ! I bought this to replace an older colemen 6250 watt electric start generator that I have Had for many years. This generator is so much quieter than my old one & with the Electronic Fuel Injection it starts SO easy !. Just switch it on & wait about 20 seconds for the fuel pump to stop then push & release the start button, It starts on its own without having to hold in the button. This generator can run my whole house & it's nice not having to worry about a carburetor gumming up from old fuel. I researched many Brands but chose this one because of The many features that the others do not offer. Rated 5 out of 5 by Handy1 from Power Horse The 7000-Watt Electronic Fuel Injected (EFI) Gasoline Powered Electric Start Portable Generator is a very nice generator. It was packaged well and with a little assembly it was up and running. Everything I needed was in the box except for gas. It has electric start with pull cord back up. The EFI means no choke which is very nice. It runs great at all altitudes and starts well in all temps. The AVR (automatic voltage regulator) keeps the voltage steady. One thing I have noticed is that sometimes it tries to start and shuts off right away. It will do this a couple of times and then it starts up and runs great. Not sure what that's about. It does not show any codes. With a electronic engine control you need special diagnostic tools to communicate with it. Rated 2 out of 5 by JHarley from Good looking generator and technically advanced. The generator worked for me once , started right up with automatic start. Next morning electric start is dead. Battery was good, had to manually start with pull. Did not get a good feeling about this generator so returned. I am not interested in getting a brand new generator repaired. Plus since no carb too sophisticated for me to take to a small engine repair shop. Nice technology but too many things that can and will break. 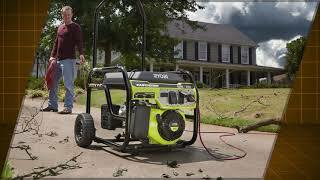 Love ryobi stuff have many of their tools, just not their generators. Rated 5 out of 5 by aperegudin from Great generator Excellent generator, well built, big wheels, very efficient, no problems to start at any time no matter how long it was standing still thanks to EFI and electric starter, love an addition battery charger, well done Ryobi!!! Rated 5 out of 5 by Phil E from Great product with excellent features. This generator is loaded with all the features I wanted at a great price!! Rated 5 out of 5 by Fanthorp from Fuel Injection is a great feature I bought it to replace a generator I have had for 8 years and I had to run the unit every 2 to 3 weeks to keep battery charged - I am very happy with the charger that came with the new generator so I don;t have to wear out the generator to keep the battery charged, besides for the cost for the gasoline to run it. Rated 5 out of 5 by Scrapiron from Electric Start is a Back Saver The unit was an easy one-man assembly. The wheels allow movement without dragging or lifting. Fuel injection and electric start had the generator up and running on my first start attempt. It will be an important tool here in hurricane country. Rated 5 out of 5 by Tattoo Tink from Overall great products I love Ryobi products! 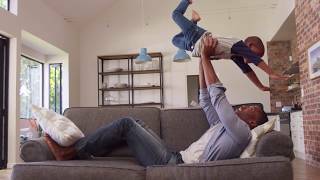 As a hardworking family man on a budget, their ease of use accompanied with their affordability sold me on them for life. I'd swap out all the tools in my shed for Ryobi in a heartbeat. 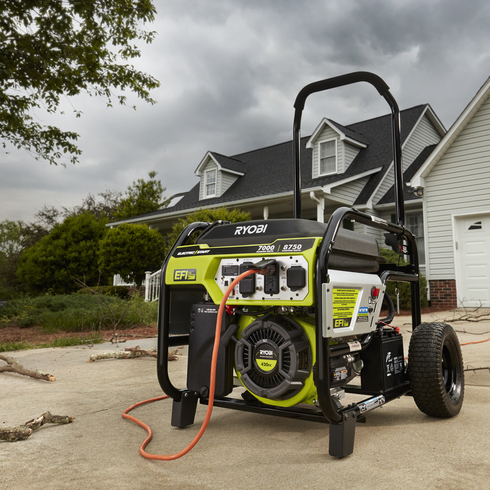 The RYOBI 7000 Watt Electronic Fuel Injection Generator With CO Sensing Technology is UL certified to ANSI/UL2201 that includes performance requirements to mitigate the dangers of carbon monoxide exposure when using the generator! 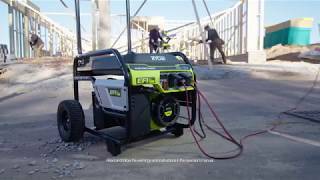 Power your jobsite or emergency backup system more efficiently with the Ryobi 7000W EFI Generator. Equipped with an automotive grade Electronic Fuel Injection system, which provides up to 25% fuel savings, simplifies off-season storage and provides optimal performance in a variety of altitudes and temperatures. The 420cc OHV engine with 7,000 Running Watts and 8,750 Starting Watts can power whatever you need, whenever you need it and then be easily stored with the quick release handle. Also featured with Electric Start and an automatic voltage regulator for easy starting and consistent power. Backed by a 3-year manufacturer’s warranty.